There are four trails to reach the top of Mt. Fuji. Yoshida is the most popular and highly congested trail. I heard that one has to stop and give way to oncoming human traffic on this trail. It didn’t sound very different than Japanese train station so I requested Yuriko-san our boss for the trek to find another option. So she chose Subashiri trail. We were four of us Nitin, Yuriko, Georgia and myself. All of us were from diverse backgrounds. Nitin is my classmate but has spent 25 years in Japan, Yuriko is Japanese looking to study abroad, Georgia is Canadian has studied in China and now doing higher education in Japan and me living in Singapore and travelling to Japan on work and trying to squeeze in a weekend to sumit Mt. Fuji. Sheer diversity of the group was fascinating. I love this aspect of trekking the most. It puts you in unimaginable situations and pairs you with totally unknown souls. I had several such treks in past two and half years. In each and every trek, I have come out more enriched, more accomplished and have formed strong bonds with friends whom I may never see again. Like Harry Potter’s story, activities select people so more often than not they come with similar attitudes and value systems. So four of us from four corners of the world had one aim to see sunrise from top of Mt Fuji next day morning! 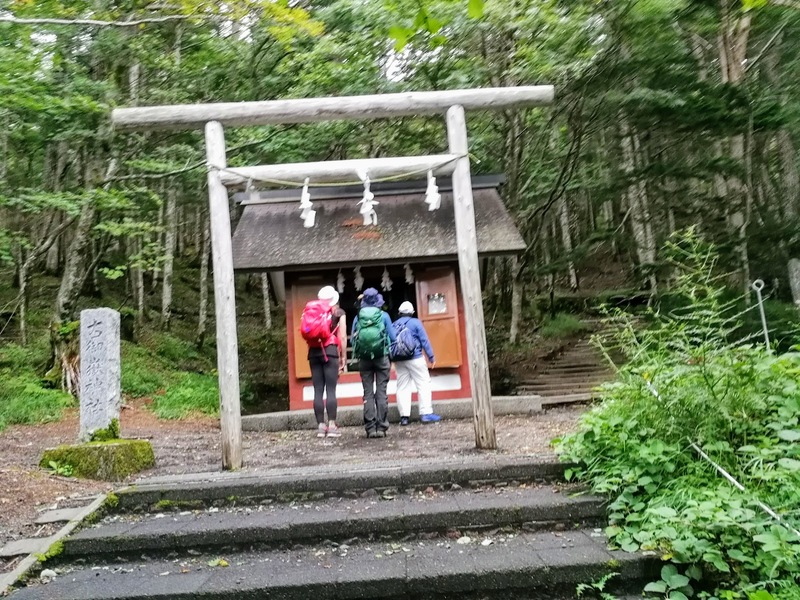 Weather plays an important role in any trek and more so in Fuji. One can’t go by what the weather report says, one can’t even believe own eyes. Eternal rule is : Weather will change. If you have clouds, you will get Sun. If its warm it will become cold, eventually. We had to be ready for all 3 seasons - summer - which was where we started, winter - which was waiting for us at the summit and rains/ clouds - which was lurking in there somewhere, held the key whether we see the sunrise or not. Something inside was telling me that behind the clouds and whistling winds, the Universe was conspiring to get me to summit and show me the festival of colours that the Sun plays with horizon, everyday. 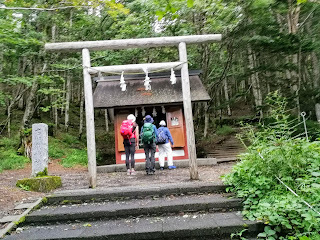 We offered our prayers at Komitake Shrine, hoped for good weather and started our climb! Mt. Fuji is the tallest mountain in Japan standing tall at 3776 m. The kanji depicting Mt Fuji also means wealth or abundance. I thought it is so befitting as Mt Fuji is as elusive as wealth or abundance is. It is open for climbing for just 68 days in a year. (July 1 - Sep 9). This season also coincides with typhoon season hence climbing Mt. Fuji and catching glimpse of rising sun requires a lot of planning and dash of luck. I missed the opportunity in 2017. The weather played spoilsport last year and I had to change my plans. So I was determined since then to summit it this year. Planning began since Jan 2018. There are 2 distinct itineraries for climbing. First type doesn’t involve any stay at the top. One starts at level 5 in late afternoon. Climb all the way to summit to catch the sunrise and descend to reach back. Second type of itinerary starts involves stay at level 8 or below. This requires a lot of planning as the dormitories get sold out 3 months before. We opted for this. My Japanese colleagues did all the planning. They booked the dorms for every weekend in the season. The plan was we check the weather, choose the weekend and just go. It worked spectacularly well. I summited Mt. Fuji on 26th August and saw the sunrise. Plan to write all the stories here. Stay tuned! Do leave comments about what you would like to hear! A contemporary perspective on Inscrutible Indian ways! Why Indians don't eat beef? 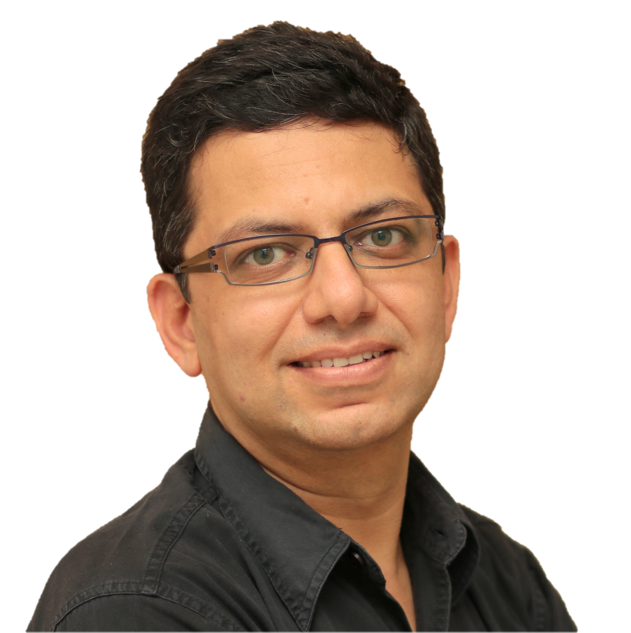 Why are Indians are vegeterians? 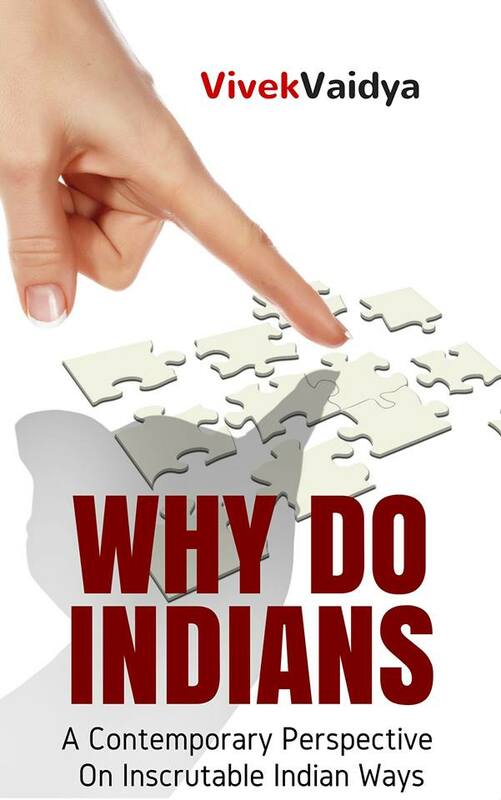 Why do Indians get arranged married? Logical, humerous yet convincing stories about typical Indian practices! Never too late to start your life!